We had not spent much time in the lower north of Thailand so it was time for a little road trip to check out the history of the area. We headed south on the main highway that feeds Chiang Mai to Bangkok. Its enjoyable getting out-of-town and checking out the countryside. There are always new food opportunities everywhere you travel so no chance of going hungry. 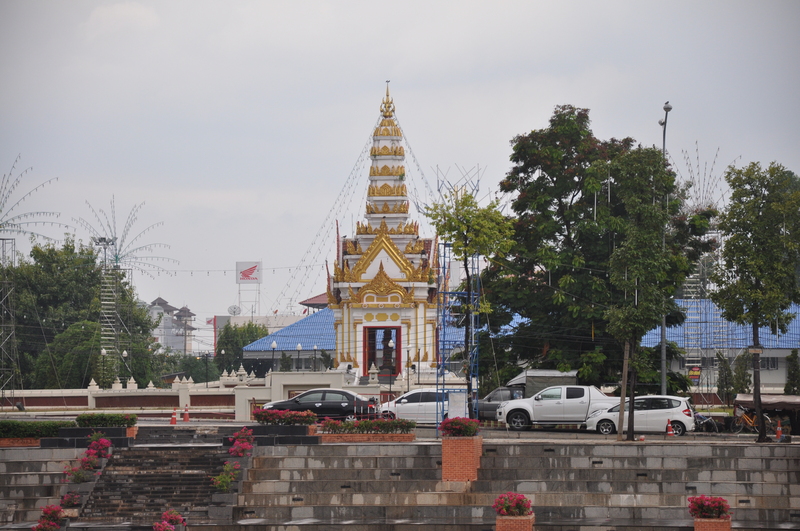 Phitsanulok was our planned destination on the first day. It is a historic city in Lower Northern Thailand, the capital of the Province of the same name, and about halfway between Bangkok and Chiang Mai (377 km from Bangkok). With a population of around 80,000 the Nan River runs through the heart of the city and like most rivers in Thailand, it is the lifeline of the province. Phitsanulok is a regional commercial and transportation hub. 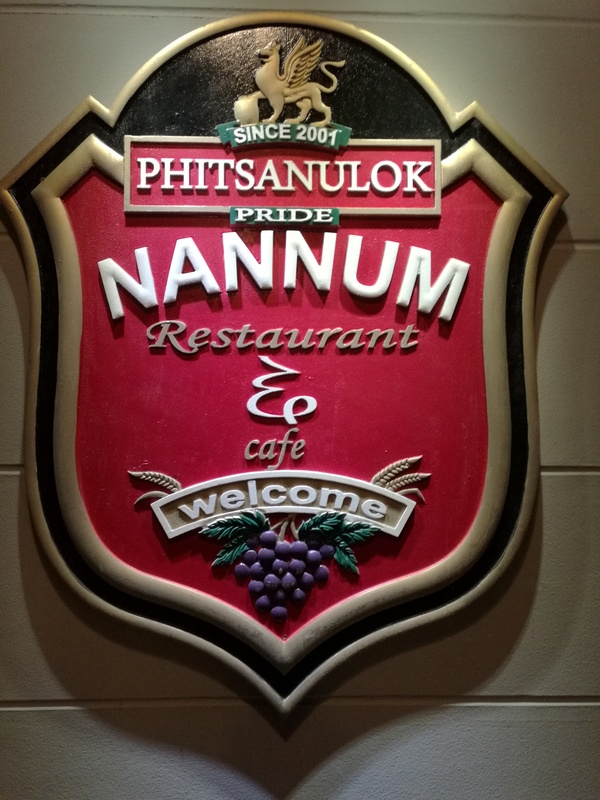 We, like other travellers have passed through Phitsanulok on our way to and from the north or east. The city itself is a good size but not the most exciting or prettiest place but is good for a stop over. Phitsanulok is also a starting point for exploring the ancient Thai capital of Sukhothai or the nearby Province of Kamphaeng Phet with the historic parks. The city dates back to the 10th century when the Khmer ruled this region. Around the year 1357, king of Sukhothai, decided to move the town to its present location. 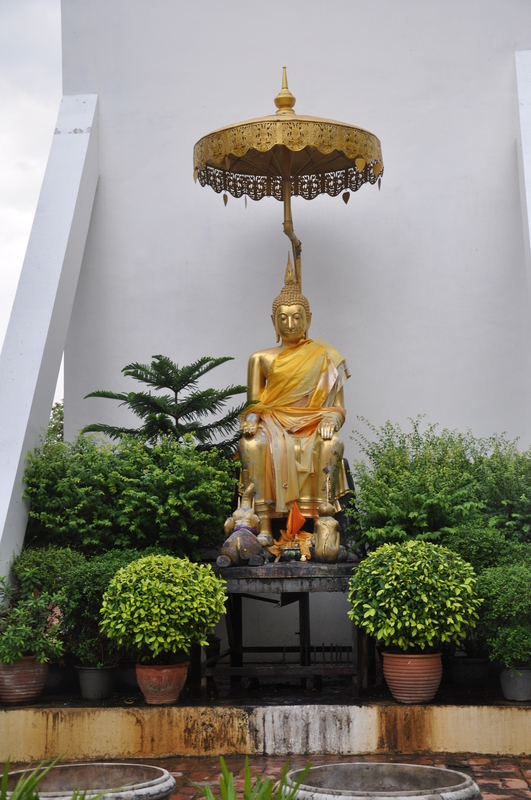 Since then, Phitsanulok served as a strategic border town ruled by members of the royal family. During the Ayutthaya Period, the town played a larger role as a buffer town between Ayutthaya, the capital city, and the northern kingdom. Eventually troops from Phitsanulok fought against the Burmese who then ruled over the Siamese Kingdom, and reclaimed independence in 1584. Wat Phra Sri Rattana Mahathat (Wat Yai), (near Naresuan Bridge). This is the most important temple in Phitsanulok and is the home of the famous Phra Buddha Chinnarat, one of the most revered Buddha figures in Thailand. There is also a small market on the ground, where people offer souvenirs and local food. Connected to the temple ground of Wat Yai is the Nang Phaya Temple. The Phra Buddha Chinnarat is very exquisite in both design and presentation. Ace bought a lovely replica for display in our Buddha room at home. Wat Ratburana, (on the southern side of Naresuan Bridge). This wat is best known for its very old and tall Chedi. According to legend this was constructed in the 15th century to house the ashes of the King of Sukhothai’s two brothers. There is also the usual Thai temple buildings, plus, a small museum, and a boat used by King Chulalongkorn. A lovely restaurant on the Nan River an easy walk down a small road nearby our simple accommodation was perfect. It was both a comfortable, stylish eatery and reasonably priced for the great and tasty food. It was well patronised so clearly a favourite in the area. Always enjoy exploring new eat spots. Early the next morning we headed the Isuzu MUX further south before we turned west to Kamphaeng Phet. It is a city in Lower Northern Thailand and is part of the UNESCO World Heritage site “Historic Town of Sukhothai and Associated Historic Towns”. Sitting on the bank of the Ping River, Kamphaeng Phet is 358 km from Bangkok. To its east are riverine flatlands while the western areas are made up of high mountains lush with fertile forests where a number of national parks have been established. Areas along the river bank at present-day city used to host several ancient towns which had played a major role as strategic front-lines since Sukhothai was the kingdom’s capital down through the times of Ayutthaya and early Rattanakosin (Bangkok) eras. In fact, the name Kamphaeng Phet actually means “walls or forts as strong as diamonds”. 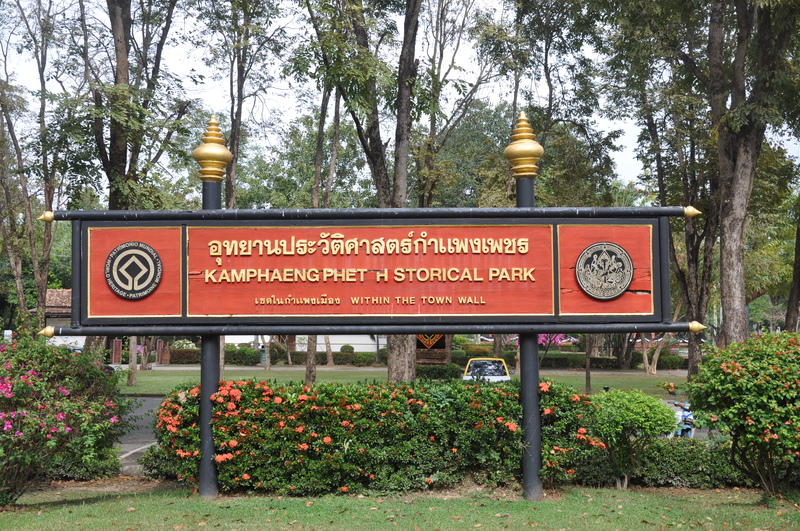 Kamphaeng Phet Historical Park, is to the north of city. In former times Kamphaeng Phet was part of the Sukhothai kingdom. Ruins from this time are found and in 1991 these, along with the two related historical cities, became a world heritage site. Driving around the park and walking through the various sites you get a sense of the history and you can use your imagination to appreciate what life would have been like here. A sample of the ruins to examine. It was a fun and interesting road trip; it provided me with more history of my Thailand. The areas were new for Ace to explore as well. Thanks to “wikitravel” and various site information signs for the details of the history and background of the places we visited that are shared here. Always looking forward to the next journey.